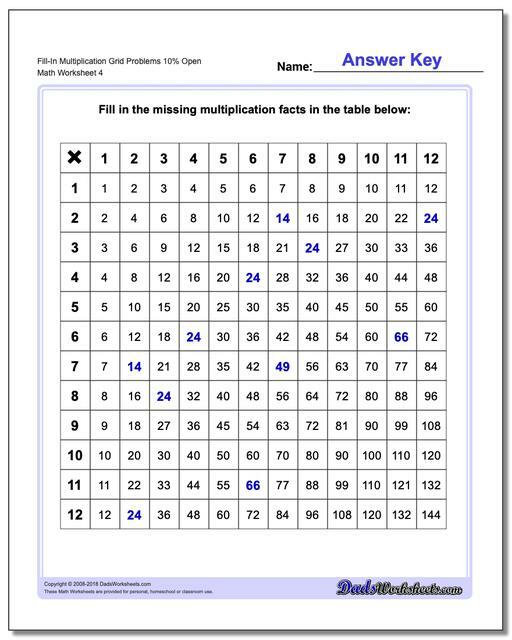 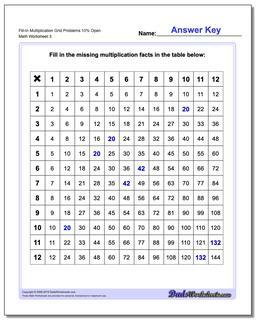 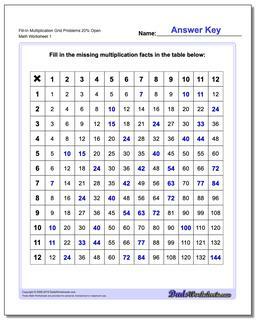 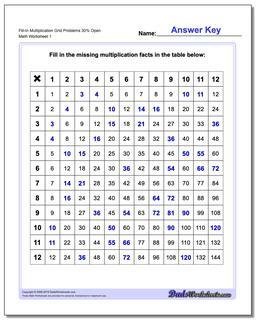 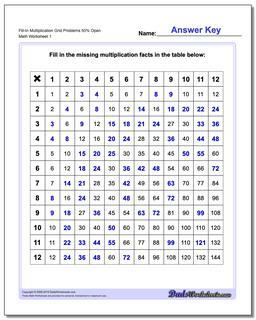 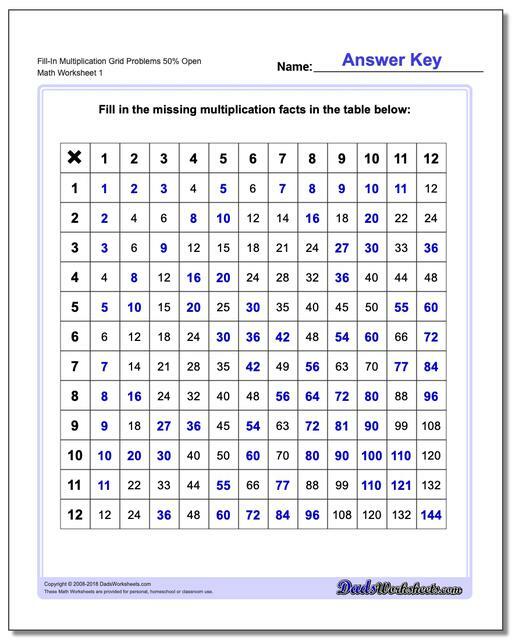 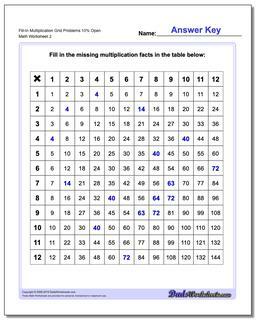 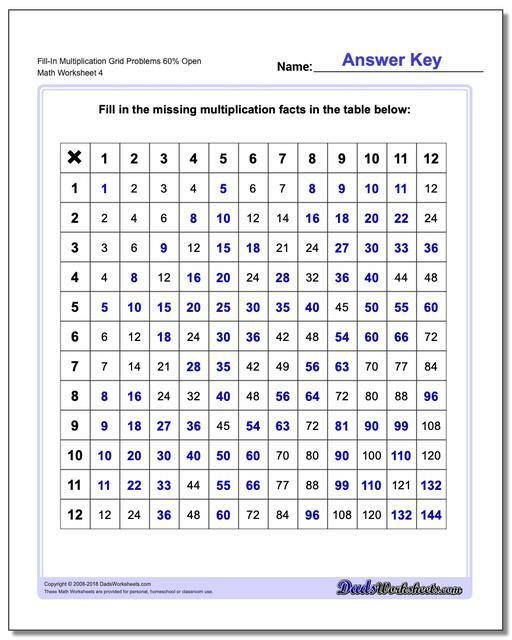 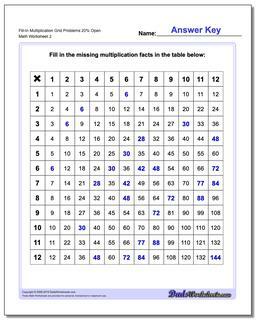 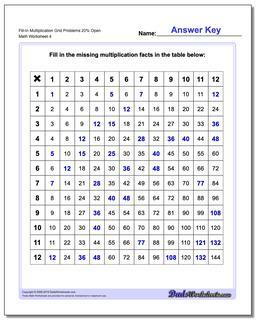 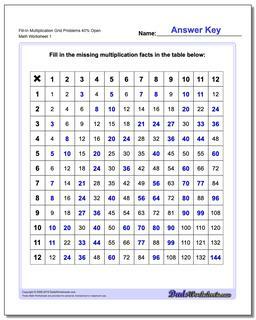 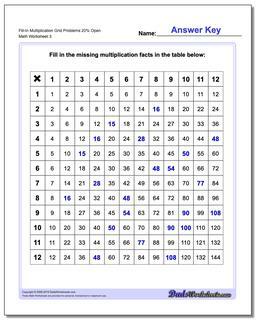 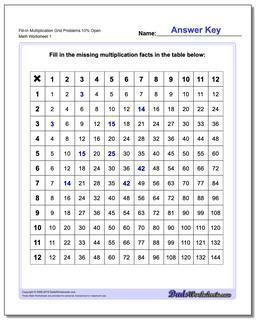 These multiplication grids, in conjunction with the Multiplication Tables are a great way to see the relationships between produts of common multiplicands. 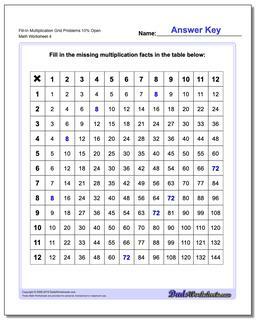 Students fill in the missing products, either by fact recall or skip counting, and develop a great perspective on how multiplication facts are generated as a series of addition steps to to reach the final answer. 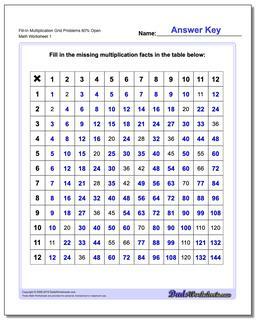 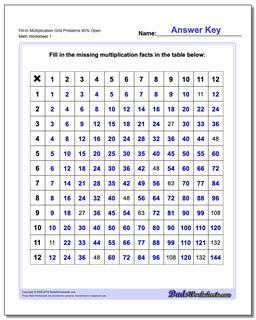 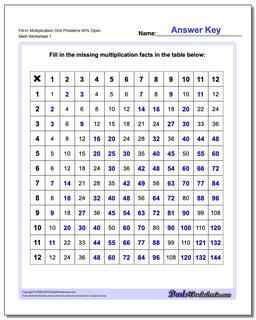 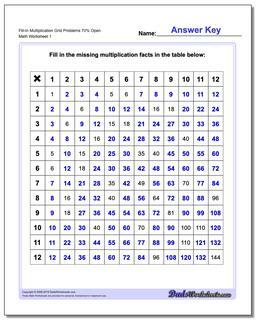 Once completed, these sheets can also be used as a hundreds chart or a multiplication reference chart, so they can be a great exercise for the start of a unit lesson on multiplication.